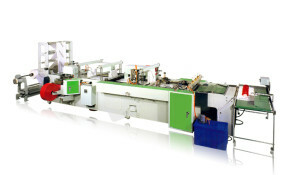 Enhancing your plastic production with a wide range of competitive machinery. Kween B's Extrusion & Recycling machines can recycle many different types of plastics such as PET, HDPE, PVC, polyethylene, polypropylene, etc. depending on it uses or end result needed. 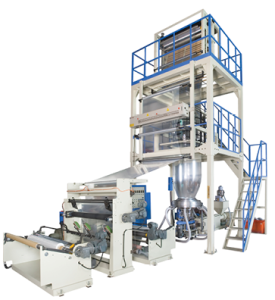 Kween B Ltd has a number of machines expertly designed for blown film extrusion, each designed to produce high performance barrier, printing and laminating films in an efficient and cost effective manner. Kween B Ltd designs and manufactures a full range of Plastic Bag production machines such as T Shirt Bag, Bottom and Side Sealing Bag, Perforated Bag and Cutting Machines. Kween B Ltd’s sales, consultancy and design office is based in the United Kingdom with our manufacturing plant in Taiwan. Well established leading international manufacturer of plastic processing and recycling machinery. As plastic industry experts we pride ourselves in assisting our customers by pioneering and developing new solutions, adding benefit through our invaluable advice, knowledge and innovation as well as dependable, responsive service and competitive pricing. For the recycling, processing and manufacturing of all types of plastic.